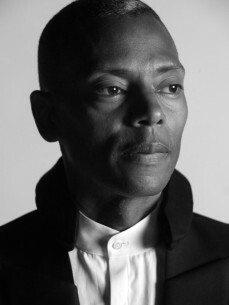 Jeff Mills evolves from the American culture of electronic music. Born in June 1963 and raised in Detroit (the historic capital of techno music). He earned his early infamous reputation by his exploring the artform of Djing that many others had not ventured. His natural skill to communicate through Music was unusually persuasive - almost addictive. From the start of his career in 1980's, he was ahead of his time and the champion of innovative thinking. His talent was quickly realized in Detroit that lead to by his own radio show on the Detroit local stations WDRQ 93FM and WJLB 98FM throughout the 1980's famously known as The Wizard. Throughout that time, he influenced many of today's Detroit Techno artists. Jeff got into music production through a forward thinking vision to be able to modify what people heard in real time. This lead to him making the music he wanted to have as a DJ. He left radio in 1989 to fully pursue a music career and founded various labels such as Full Effect Records with Tony Srock as Final Cut and Underground Resistance with Mike Banks in 1990. In 1992 Mills was snatched from Detroit for permanent DJ residencies in New York City at the Limelight and Palladium. There, he created his own record label, Axis Records and closely collaborated with the Tresor label in Berlin to release a string of the most important Techno releases to date. In the year 2000, he boldly embarked on the creation of a new score for Fritz Lang’s “Metropolis” and admits attempting to return to his first motivation which feeds from a utopian view of the future, futuristic thoughts and a real passion for the world humanity will create. He is the master of "extraordinary scenarios" and borrows from science fiction the common man's notion of Tomorrow. A year later, he creates “Mono”, a monolithic sculpture and installation inspired by Stanley Kubrick’s film "2001: A Space Odyssey” which was exhibited at the CCCB Museum during Sonar Festival at Barcelona. DJ sets, allowing him to both approach video production, while beautifully complimenting his artform on the turntables. In 2005, at the request of the French film company MK2, he composes a new soundtrack for Buster Keaton's The Three Ages. In the same year, he remains receptive to new experiences, like the groundbreaking collaboration and concert with the Montpellier National Orchestra on the 20th anniversary of Unesco's classification of the Pont de Gard as part of Humanity’s World Heritage. In 2007, he was invited by the movie director Claire Denis to create the sound environment of the exhibition ́”Diaspora” at the musee du quai Branly in Paris. Also that same year, Jeff Mills received the title of “Chevalier des Arts et des Lettresa from the French ministry of Culture. In 2008, Jeff Mills was commissioned to create a contemporary installation for 100 Year Anniversary of the "Futurist Manifesto" at the Pompidou Centre, Paris. And in 2011, his work The Dancer featuring his experimental film work of Josephine Baker was again featured at the Pompidou Centre as a part of the exhibition, "Dancer Sa Vie" through April 2012. - all while impressively DJing at over 100 parties and events a year around the world! Musique in Paris which included his unique cinemixes performances of "Cheat" (Cecil B. DeMille), "Oktober" (Sergei Eisenstein),"Woman In The Moon" (Fritz Lang) , "Fantastic Voyage" (Richard Fleischer) and "Etudes sur Paris" (Andre Sauvage).